These are two characters that I have recently drawn for illustration and animation purposes, both came naturally without too much design, but then tweaked afterward. I really enjoy drawing people and characters I think its a great way to learn about yourself and others, how to represent personality through another element. 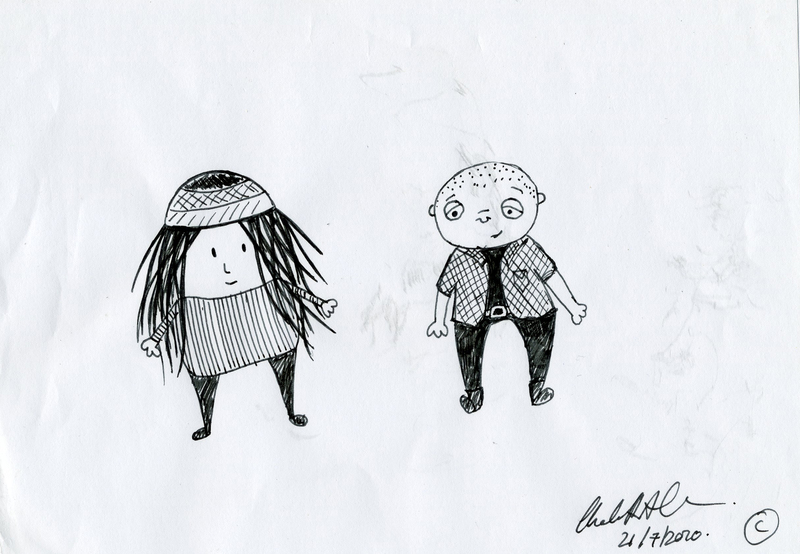 Both these are loosely based around people I know. Some might say that that is cheating, but I say that people are my inspiration. Names and styles for these particular characters are being developed and will arrive on here shortly. 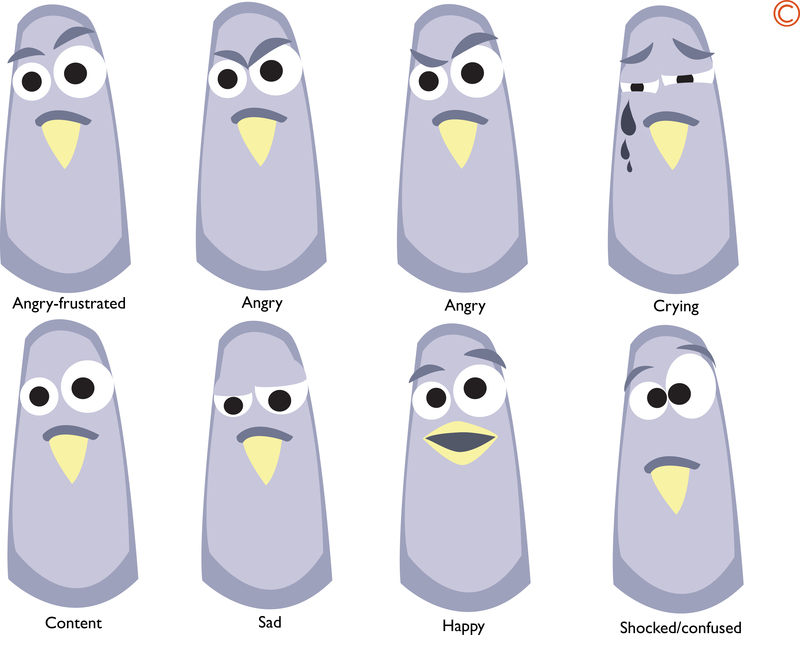 This is a range of expressions for ‘Gary the pigeon’ to help viewers know exactly how he is feeling by having generic facial expressions for his every mood. Its helpful to have standard facial expressions to be able to look at it and know exactly which one I need to use to expression which human emotion. All ‘Gary’ designs were created by Charlotte Overton and for Charlotte Overton. All the content on this site is copyrighted.